I visited a small town this weekend and was thrilled to find this beautiful mural. 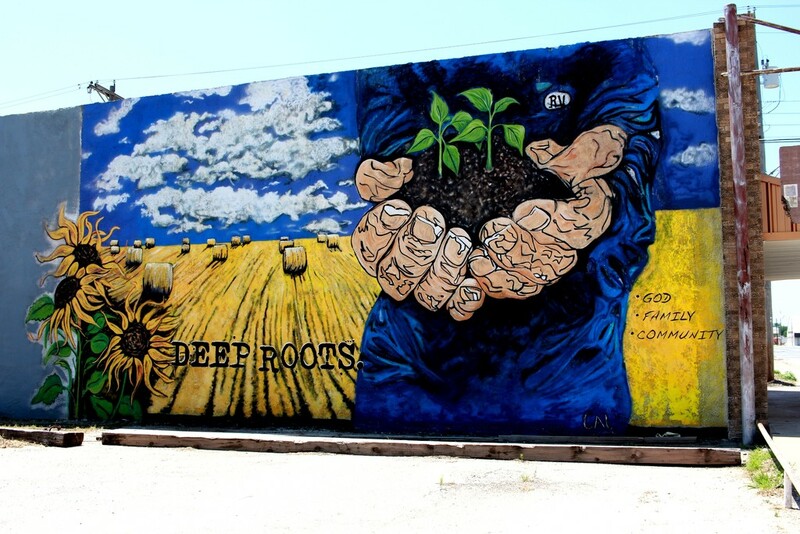 It is in a farming community and the mural is a great way to represent the farmers and all that they do for us on a daily basis. God. Family. Community.